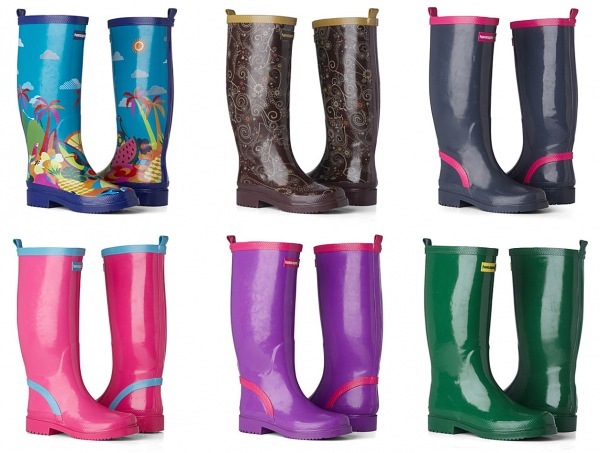 The Brazilian brand has just launched the Hawaiian galoshes, but they are not available for sale in Brazil, perhaps because they have emerged in recent seasons so timid among Brazilian women, unlike the United States and England, where the boots are called as Wellis , are widely used, we find hardly anyone who does not have a pair of them. The Hawaiian galoshes follows the same format and style of the Well, with the colorful prints and smooth. In total, eight models: two flat, in tones of blue or pink, and the other six models with prints inspired by British music festivals. They are comfortable and practical for super clean, can be used in various situations, but are preferred in the rainy, cold and mud in place to offer full protection to the feet. We hope that the Hawaiian galoshes also make success in the home country, Brazil.